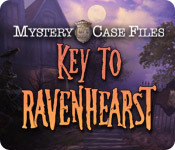 Mystery Case Files: Key to Ravenhearst is rated 3.9 out of 5 by 29. Rated 5 out of 5 by RyGuy42 from You're missing out!! 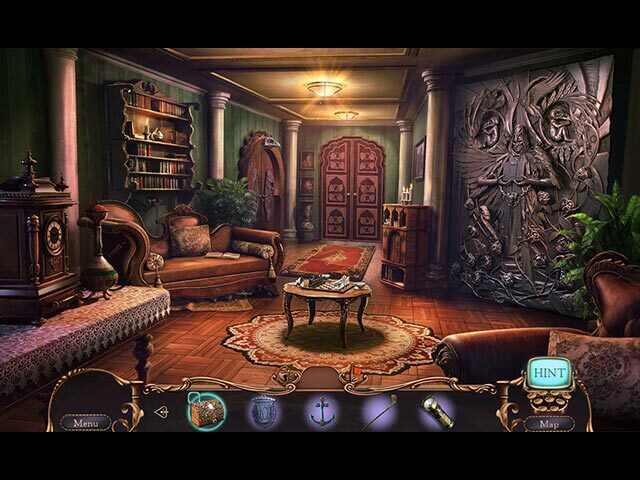 I honestly don't understand why the current batch of Mystery Case Files games are getting bad reviews. Perhaps older gamers aren't happy with the progression of the series. In my opinion, these are really good games. I've played hundred of HO games and Key to Ravenhearst is up there with the best of them. Beautiful scenes, good music, and really enjoyable puzzles and storyline. More than that, though, you can see that someone has put this game together with care...there are loads of tiny tidbits of information to garner and read and and broaden the world of MCF. My only negative is that the videos are poorly rendered, but this seems to be an Eipix trait in all their games. Apart from that, I'm extremely glad I bought this game and to have it in my collection. Rated 5 out of 5 by Yanie1020 from Really Fun Game This didn't really remind me of the other Ravenhearst games but I didn't mind a bit because it's a great game. Long, challenging (even had to skip a puzzle), some superb puzzles (especially the Rube Goldberg type puzzles where you have to complete several smaller puzzles within a large puzzle), and even a decent storyline for a change. All in all, a really fun game that I highly recommend! Rated 5 out of 5 by Kyoichii from Death Note ? I really liked this one, really full and enjoyable! And? Haha, i really LOVED the wink to the Death Note's book scene! It was so amazing~! Rated 5 out of 5 by MissLancome from Raving about Ravenhurst I have enjoyed all the series and I definitely enjoyed this one. The graphics and the visual as well as auditory were well co- ordinated. I liked the way the story line went and feel this will surely be the conclusion to the series. I played both the CE and the SE and felt the SE was perfectly adequate.. I tend to alternate between versions depending on how the trials go. I thoroughly enjoyed the HOPs and the puzzles which I felt were well put together. Rated 5 out of 5 by denniann2 from ravenhearst is back!!!!!!!!!!!!!!!!!! alistar dalimer is at it again! ravenhearst is back in another location. the grandaughter is trying to revive alistar. the house was built and the workers never were seen again after the house was finished. alistar had devised a soul collector so he can come back and the grandaughter is doing all she can to bring his back. he isn't dead yet, but is very frail and is on the way out. it has a custom level and a great hint system!!!! of course, there will be a sequel...........they have already set up for it!!!! Rated 5 out of 5 by Italia47 from Granddaddy, you're a bad, bad man!! A real nut job! What a magnificent game! Though I truly would like the Ravenhearst Saga to be put to rest, I thought that MCF: Key to Ravenhearst was absolutely brilliant.unlike MCF: Ravenhearst Unlocked. My review is based on a completed SE game. To me, Key to Ravenhearst was the best of the entire series! Bravo, developers! Bravo! An extremely well-thought out game-plan, an awesome storyline that made sense--it was intelligent, there was a plethora of facts that were thrilling to read and tasks to accomplish at every turn. Puzzles within puzzles, those that appeared easy were actually hard and vice versa. Those got my adrenaline flowing once again and when that happens, you know it's a good game! A dysfunctional family is one thing but this goes beyond that. When you mix that with a diseased mind all the money in the world won't solve your problems. Parts of the story were rather sad and disturbing to me. I felt for the innocent victims mostly. Alister's Enigma--puzzles and mini-games one after the other--and piecing all the information together making for quite an interesting story which explains the madness of the Ravenhearst family. Mental illness, murder, delusions of grandeur, and pure, unadulterated evil. One of my favorite tasks was trying to get out of the pod chamber, ironically the movie, The Prestige, came to mind! LOL! No way was this detective going to go out that way! I also loved the part about how to breed and care for a healthy raven flock. Alister's vigorous minions! His omnivores! You learn something everyday! I played the harder mode but very much relied on the map, nine times out of ten, the map worked but there were times when it didn't, so I relied on the hint button from time to time. I'm glad I didn't get the CE version only because the morphing objects, if any, or collectibles, to me, can be a distraction. This SE version flowed like a charm, which I expect in a very good game. The musical score was wonderful, the graphics superb, the voiceovers-actors were excellent. I thought I detected a British accent now and then, which I LOVE! Not once did I want to hurry up and finish this game. That should tell you something right there. I highly recommend the SE version. Try it out. You won't be sorry. I still may end up getting the CE but the SE played like a CE without all the other trimmings. This game will not disappoint!! Rated 5 out of 5 by Aliana_4711 from Mother's finest. 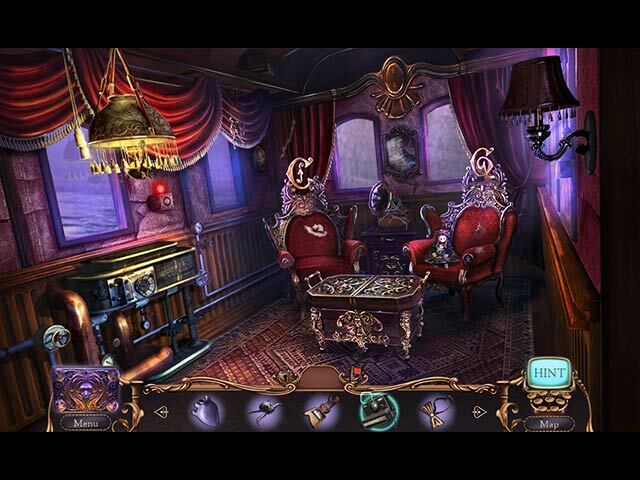 Ravenhearst games are my favorites This game has a high end quality. The animation - especially the intro – looks like an animated cartoon. It is excellent. The game owns all features, which are state of the art right now. You can adjust the difficulty. It has an interactive map. The graphics are magnificent, voices and noises are really good, the music is not bothersome. You can play without helping messages (I prefer that). Along the game there are a lot of nice details. The challenge is good enough, the tasks are quite logical. Except for small issues like “why should a battery be hidden in a buoy?” At the end, in one scene, you have to be very accurate. I missed it and had to use a hint. And one scene wasn’t logical (if you don’t have helping messages) and I got it only through try and error. I needed 6 hour and something to play through, it is long enough. Last but not least: the puzzles are outstanding. I love those most of all. From my point of view, they could have been quite a little bit trickier, either I am used to them by now, or they are not as difficult as the former one. But hey: they are still the best. Rated 5 out of 5 by ravengone from EXCELLENT DID NOT LET ME DOWN I have played all of the games of Ravenhurst, this is one of the best. It all made followed the storyline. The puzzles where challenging. The ending left me wanting more. Just Great!